I went through a bad breakup a few years ago. It was the best decision of my life. I broke up with my novel. Ended it. I determined that while I still loved it, being in a relationship with it was not the wisest decision. Because I couldn’t see straight. My vision was blurry. And any criticism I received became super personal. Or is it ouch? I needed relationship counseling. To make this novel be the best it can be, to strengthen it, to maximize on its potential, I need to be open to looking inside it and identifying its weakness. 1. Develop Relational Boundaries: My book does not define ME. When a critique partner, an agent, an editor, or, God forbid, my DAD, points out a flaw or an area of opportunity, it is not a reflection on me. No one is pointing past the book to me and shouting “YOU STINK!”. Most people tend to give honest feedback with the intent to help. That’s why it’s called “feedback”. They feed back to us information we can take, disseminate, and implement. All to create a novel that grows from its good foundation, to a better foundation. 2. Accept the Good, the Bad, and the Ugly: In any relationship, there are aspects that are good, some that are bad, and some that are downright horrendous. There’s something in our novel that screams “FIX ME” and yet sometimes we can’t see it, but others can. Unfortunately, we often want to focus on our vision on the good and maybe some bad, but going to that ugly means scraping off the scabs and causing us to bleed. But it’s necessary. Like cutting that boring chapter that put my critique partner to sleep. Best. Surgical procedure. Ever. 3. Embrace Change: Change is important in any relationship. 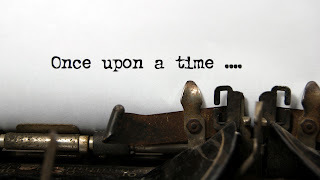 In the writing world, as you exercise your writing vocal chops, your writing will change. Change should be a welcome thing. When the editor asks you to change your heroine’s name, weigh it out on the scale of importance. Really. Is that name worth arguing over? When the critique partners suggest cutting several paragraphs of scene setting descriptors, ask yourself: will this change positively affect the outcome? It's important to remember that breaking-up with your novel doesn’t mean you can’t get back together. Sometimes the best relationships are forged through adversity. J Not to mention, sometimes the best perspectives are formed by looking from the outside in. Fresh eyes, new ideas, and critical thinking can take a good book and make it a great book. 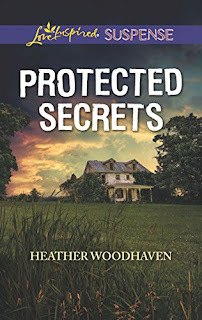 For over a century, the town of Gossamer Grove has thrived on its charm and Midwestern values, but Annalise Forsythe knows painful secrets, including her own, hover just beneath the pleasant facade. When a man is found dead in his run-down trailer home, Annalise inherits the trailer, along with the pictures, vintage obituaries, and old revival posters covering its walls. As she sorts through the collection, she's wholly unprepared for the ramifications of the dark and deadly secrets she'll uncover. A century earlier, Gossamer Grove has been stirred into chaos by the arrival of controversial and charismatic twin revivalists. The chaos takes a murderous turn when Libby Sheffield, working at her father's newspaper, receives an obituary for a reputable church deacon hours before his death. 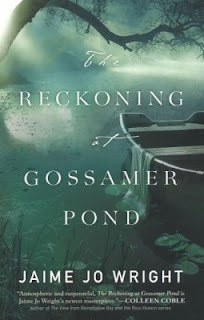 As she works with the deacon's son to unravel the mystery behind the crime, it becomes undeniably clear that a reckoning has come to town—but it isn't until another obituary arrives that they realize the true depths of the danger they've waded into. 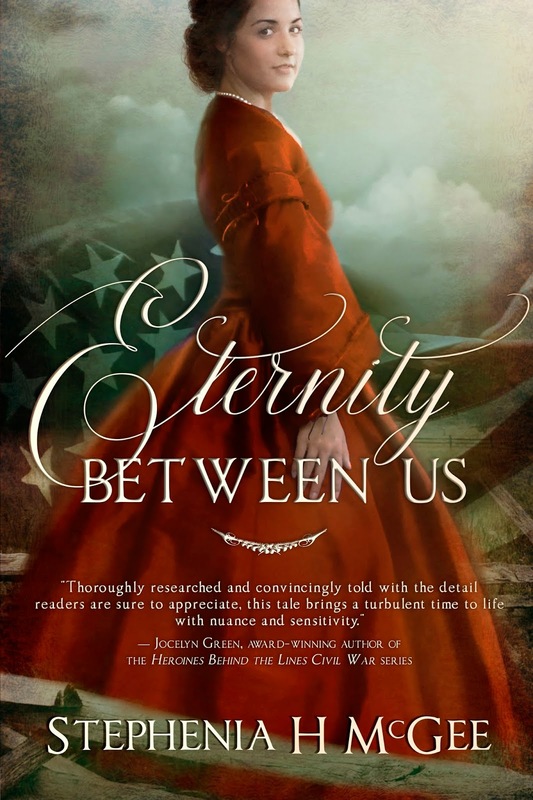 Two women, separated by a hundred years, must uncover the secrets within the borders of their own town before it's too late and they lose their future—or their very souls. Professional coffee drinker & ECPA/Publisher's Weekly best-selling author, Jaime Jo Wright resides in the hills of Wisconsin writing spirited romantic suspense stained with the shadows of history. Coffee fuels her snarky personality. She lives in Neverland with her Cap’n Hook who stole her heart and will not give it back, their little fairy Tinkerbell, and a very mischievous Peter Pan. The foursome embark on scores of adventure that only make her fall more wildly in love with romance and intrigue. Jaime lives in dreamland, exists in reality, and invites you to join her adventures at jaimejowright.com. I don’t know how many times I’ve heard or said that. Usually I think of it in regards to parenting or marriage, but I know it applies in other areas. At my latest critique group we discovered that all of us felt writing was the hardest it’d ever been. Someone mentioned it felt like winter, writing-wise. Spring: Growth is happening rapidly, but it’s hard and painful breaking up through the soil. I’m researching, trying to discover who my characters are, making the plot threads work. Often, I find this coincides with the most challenging part of my spiritual growth as well. I’m asking a ton of questions and searching but feel a little lost until I find my footing. Summer: Writing is fruitful! I get to see the beauty of all that painful growth and want to sit back and enjoy, but it’s time to tend the weeds (editing. Ugh) and make sure there will be a decent harvest (marketing. Double ugh). Fall: My absolute favorite season. It’s during this season that I actually love the work. Raking and harvesting bring me joy, and I don’t find them to be that hard. For me, that’s equivalent to already having thought-out characters and a synopsis. It’s the time to sprint through scenes. If I succeed in turning off the expectations of my inner (and real-life) editor and focus on the creative process, I actually fall in love with the story. Winter: Cold, snow, and ice are not my favorite things, but I do love the extra rest that comes with it. At least, the excuse to go to bed early or cuddle up on the couch with a blanket and not feel lazy. My imagination gets fed more. In this season, I read more for fun. I enjoy stories in other art forms: plays, tv, movies, and audiobooks. I eagerly wait for spring, having fully forgotten just how hard that growth will be. Do you relate to the seasons? Where are you right now? US Marshal Delaney Patton’s assignment: protect murder witness Bruce Walker and his daughter—a little girl Delaney suspects is the child she gave up for adoption years ago. But before she can explore a possible reunion, Delaney must outsmart the deadly criminal organization tracking their every move. Can she shield them long enough to find the truth…and possibly become part of the family she’s falling for? Heather Woodhaven earned her pilot's license, rode a hot air balloon over the safari lands of Kenya, assisted an engineer with a medical laser in a Haitian mission, parasailed over Caribbean seas, lived through an accidental detour onto a black diamond ski trail in the Aspens and snorkeled among sting rays before becoming a mother of three and wife of one. 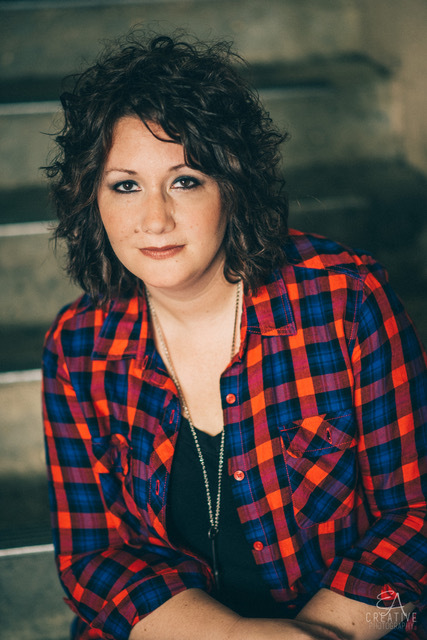 Now Heather spends her days celebrating laughter, adding to her impressive list of embarrassing moments, and raising a family of aspiring comedians who perform nightly at her table. She channels her love for adventure into writing characters who find themselves in extraordinary circumstances--whether running for their lives or battling the insanities of life. So, you’re wondering what this self-publishing thing is all about. What will it mean? Will people think you weren’t “good enough” to have a “real” publisher, or are you getting directly to readers who will love your work, even if a house isn’t looking for your particular type of story exactly at the time you submitted it? These are questions each author needs to consider and pray over. What are your goals? Are you looking for the satisfaction of “making it”? Is your goal writing full time? Do you long to see your book on a major bookstore’s shelf? What is it that, at the end of the day, means the most to you? There are a lot of things that should be contemplated before you decide if, or why, you should consider self-publishing. But if you do, here are a few things I think might help you. Craft. This almost goes without saying, but be sure to spend a lot of time honing your writing skills. You do NOT want to publish too early. Make sure what you have is good material before sending it out onto the internet. 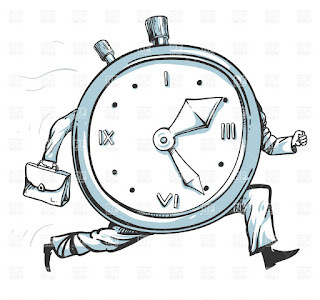 Work that isn’t ready will only hurt your career. Being self-published is running your own business. You will have to do bookkeeping and taxes. Be prepared to learn about a lot of business aspects if you don’t know them already. You will need to hire other professionals for the publishing process (don’t do these on your own unless you truly are a professional). Be sure to research and know how much to budget for an editor, cover artist, print and ebook formatting. What about print books? There are a lot of POD services out there as well as companies such as Ingram that will list your book in catalogs for bookstore ordering. However, most are not likely to order from indie authors or small presses. No matter how you publish, be prepared to learn about marketing. Even with a traditional publisher, you’ll need to do your own marketing. Writers groups are very helpful and can give you ideas. The benefits of self-publishing: Aside from having control over your product and your publishing schedule, you are the publisher, and therefore get both the publisher’s and the author’s cut. Disadvantages: Don’t expect to see you book on a major bookstore’s shelf. Reviews with big magazines are much harder to get, and visibility is more difficult to achieve. Hopefully, this gives you a little insight into the world of self-publishing, and gives you some things to think about if you are considering taking this road. The good thing is, writers these days have more options than ever. You can be traditionally published, self-published, or be a hybrid of both. Authors now have a better opportunity than ever before to connect directly with their readers. 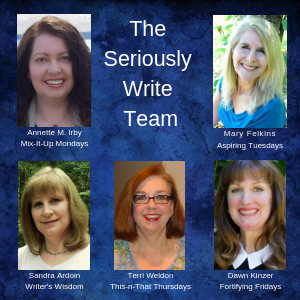 It’s a great time to be a writer! 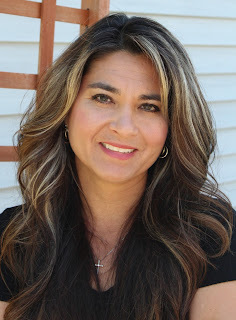 Stephenia H. McGee became a qualified independent publisher with the ACFW two months after the release of her first title, The Whistle Walk. 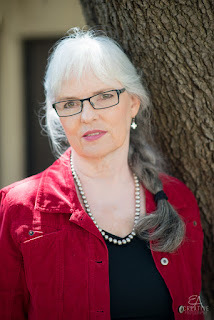 Since then, she’s published five other novels set in historic Southern locations, including her bestselling novel In His Eyes (Belmont Plantation in Greenville, Mississippi) and The Liberator Series (Rosswood Plantation near Natchez). 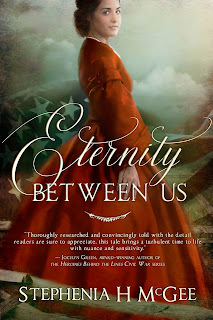 Her newest Civil War novel, Eternity Between Us will release this October. Stephenia lives in Mississippi with her husband and sons where she writes stories of faith and love steeped in the South. Every colorful, artistically designed and titled cover on that wall came about after I was told time had run out. That it was too late for me to be a novelist. Too late to pursue my dream. “You really should have started this years ago,” said the successful author who met with me in a one-on-one at my first writer’s conference. Evidently, my skin was thicker than I thought, because I thanked her, gathered my portfolio, and went to the next workshop on my schedule. That was the spring of 2008. What the well-known, over-worked author didn’t know was during those “years ago” that she referenced, I was raising two children, traveling across the country with my rodeo bullfighting husband, and writing feature stories for Western magazines and inspirational publications. Later I worked full time as a daily newspaper crime-beat reporter who had no creative energy left after a day spent sitting in a courtroom, covering fires or automobile accidents, or following Search & Rescue teams up Colorado mountainsides. My dreams and I were exhausted. Ultimately, I faced a decision. Would I pursue my dream, or would I give up, give in to a well-meaning naysayer’s observation? Would I sit back and vegetate on the latest television drama for the rest of my life, or would I improve my craft, sharpen my skills, pick up the torch? Today, my desk sits across the room from that wall of framed book covers that circle the Churchill quote. Imagine how I answer when asked what advice I give aspiring writers. What about you? Have you been told it’s too late to follow a dream? How did it affect you? Did you let up on the accelerator for a while, stunned by someone else’s lack of faith? Did you persevere in secret, enjoying the process and counting it worth the cost regardless of the outcome? In our world of immediate gratification, trusting God’s perfect timing is an often uncomfortable, though fruitful, challenge. I’d love to hear your story. Please comment below and share about God’s timing of His purposes in your life. 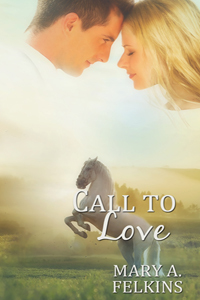 Laura Bell needs a second chance, not a new romance. Home to heal and start over, she finds the neighbor boy she once idolized is a sharp-edged former Marine with secret wounds of his own. Eli Hawthorne’s prayers are finally answered when Laura returns, but he’s half a man now, and his scars may be too much for her. 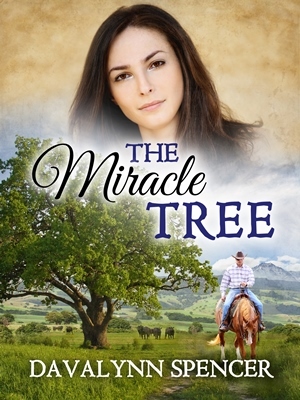 Laura and Eli can fill the empty places in each other’s heart if pride doesn’t keep him from trusting God and fear doesn’t blind her to the miracle of the boy she left behind. It’s a brand new day. How will you choose to spend it? We all are familiar—some more than others—with this drill: A small child rides in the backseat of the car and his constant chatter is a distraction—and sometimes an irritation—to the driver. Again and again, he asks, “Are we there yet?” Eager to arrive at the destination he wants the car to move faster. He is beyond impatient. In our day-to-day activities, we are often like that child, scurrying at lightning speed from one task to another, devoid of the simple pleasure of life’s journey and the landscape that forms our life. 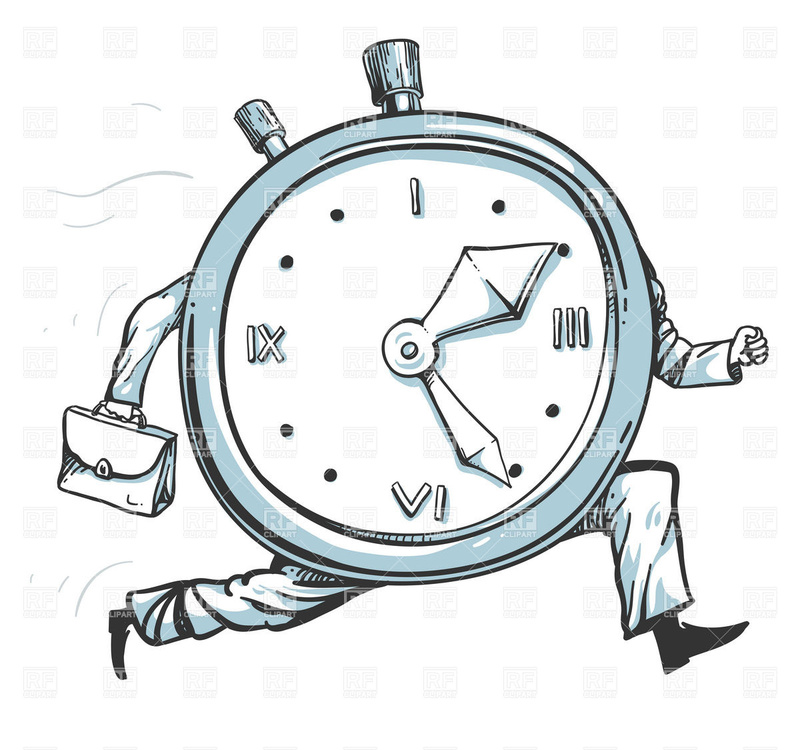 Time passes in a blur, and when we do take a moment to grab a breath, we wonder just how the hours turned into weeks, months, years and even (yikes) decades. When life’s hectic pace threatens to steal joy, remember to so many wonderful moments in time, and to appreciate a world filled with children’s laughter, kind words from a neighbor and the beauty of a new sunrise. Along the way, you might even discover a new story idea (or two). This week, take time to relax and discover the people with whom you are journeying through life. Listen to the wind whispering through trees, smell the musky scent of changing leaves, enjoy a cup of flavored coffee (or tea), and tilt your face to the warm sunlit sky with a smile. When a job transfer causes Jenna Palmer’s family to relocate across the country, Jenna moves away from her best friend and first love Carter Stevens. She promises to find him again. 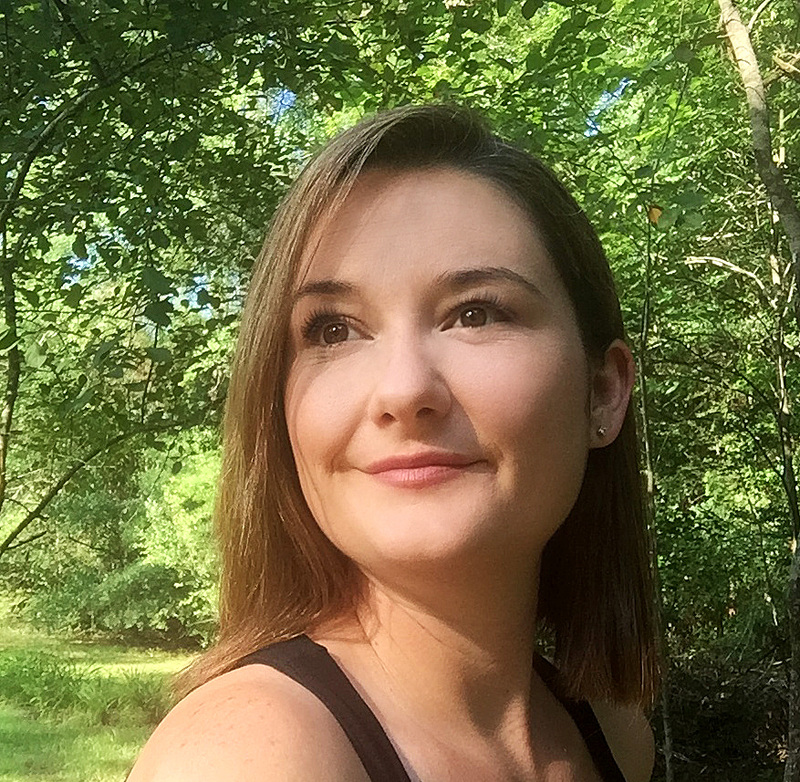 But as the years slip away and she dives into a career in pediatric trauma surgery, all that is left of her one time love are the memories—and a wish on the lucky penny Carter gave her. Carter Stevens never forgot his first love. On their final morning together he gave her a special token along with his promise to love her forever. Though years have passed as he’s climbed the ranks of the Maple Ridge Police Department, he still longs for another glimpse of the smiling, green-eyed beauty who stole his heart and shared his love of adventure. When an accident brings the pair together once again, memories and reality collide. Will their promise stand, or will time crush their promise…and their love? Mary Manners is a country girl at heart who has spent a lifetime sharing her joy of writing. She lives in the foothills of the Great Smoky Mountains of East Tennessee with her husband Tim and their rescue dog Axel, mischievous cats Colby and Rascal, 8 rambunctious chickens, and 13 fish. Mary writes stories full of faith and hope. 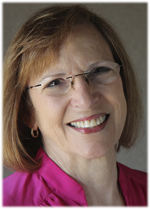 Her books have earned multiple accolades including two Inspirational Reader’s Choice Awards, the Gail Wilson Award of Excellence, the Aspen Gold, the Heart of Excellence, and the National Excellence in Romance Fiction Award. Mary loves long sunrise runs, Smoky Mountain sunsets, and flavored coffee. 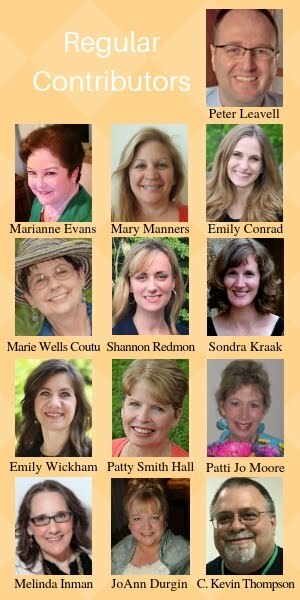 She enjoys connecting with reader friends through her website: www.MaryMannersRomance.com. We’ve all heard it said, “Walk a mile in someone else’s shoes.” In other words, have some empathy. Try to understand how that “someone else” lives, what they deal with on a regular basis, and why that person comes to the conclusions he or she does, whether you agree with those decisions or not. For us, the author types, there is no position we should have more empathy for than an editor. That’s right. I said it. In some of your minds, I just slipped on my Darth Vader helmet and asked you to come over to the dark side. But hear me out first before you rally the rebel forces. Imagine yourself sitting at your desk. You’re the new editor for XYZ Publishing, in charge of making this new division not only solvent, but profitable. You have six months to a year to make that happen. 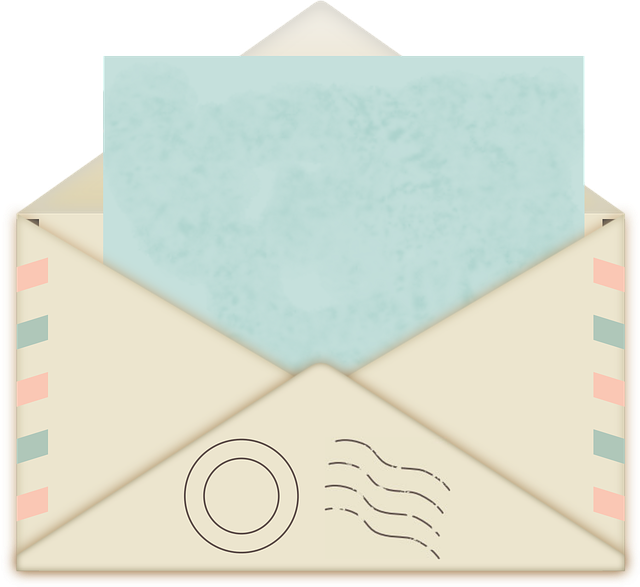 It’s week four, and in your e-mail inbox are two hundred query letters, each complete with a synopsis, a marketing plan, an author bio, and the first few chapters of the work. About sixty pages each, give or take. And these are just the agented but unsolicited manuscripts that have arrived in your inbox. More arrive each day. Also in your inbox are the agented and author-only manuscripts you requested at your first writers’ conference two weekends ago. And there will be more on the way. Current count sits at thirty-five, and you have two more conferences coming up within the next four months. Now, as you sit there, you have to decide which ones get promoted to the “I need to examine these more closely” pile and which ones get placed in the round file (aka, the garbage). All the while, you’re thinking about lowly writers like James Patterson, whose first book, The Thomas Berryman Number, was rejected thirty-one times. That means thirty-one of your fellow editors back in the day “missed out” on landing the author who sells more thriller novels than anyone in the world. Or what about Daniel Handler’s first novel, The Basic Eight? Many people have probably never heard of Handler’s first novel because many people don’t know who Daniel Handler is. Neither did thirty-seven other editors, apparently, when he kicked off his writing career. However, everybody knows him now…65 million copies later…as Lemony Snicket. Then there was that little-known author with the backwards name of Elmore Leonard…He had his first novel, The Big Bounce, rejected eighty-four times. It’s only been made into a movie twice since its publication. Then in today’s market, of course, there are the works of folks like Lisa Genova who never make it across your desk. Her first novel, Still Alice, was rejected by roughly one hundred agents who sent rejection notices or simply never replied at all. Finally, Genova went Indie with her book. It did well enough to catch the eye of an editor from an imprint for Simon & Schuster. It only spent forty weeks on the New York Times Bestseller List and was made into a movie starring Julianne Moore. So, now, in these days of self-publishing, you, Mr. or Mrs. Editor, must also scour the sales reports of entities like Amazon to try and find that next big hit from the ever-growing, why-does-everybody-think-everything-they-write-should-be-published indie crowd. Say goodbye to your personal life. The hours required to make all this happen will leave you with about fourteen minutes of sleep a day, if you’re lucky. In other words, fellow author, take heart and have empathy. Your first novel, even your second, third, fourth, or fifth, may be “the one” that finally gets noticed. And it will probably not be the very first editor you encounter who does notice it. Actually, the odds are against it. I often tell folks Michael Crichton’s first hit novel, The Andromeda Strain, was not his first novel. He wrote several books under the pen name of John Lange while going to med school. However, the book that made him more of a household name was a little- known book called Jurassic Park. That was his what? Twelfth book? Have empathy for the editors out there. They have to find you first. And even if they do, and love you and your work, they still have to sell you to the editorial board. Editors have budgets like everyone else. They are allowed to publish only a certain number of books a year. Can you empathize with narrowing down three thousand submissions a year to twenty published books? Which twenty would you choose? Editors make mistakes. Often, they are costly. Choosing those twenty books is like playing roulette. A few land on Red 37. Most don’t. If enough land on Red 37, you have a job next year. If too many do not, there’s always that sign-twirling job out in front of that mattress store down the street. Keep writing. Your first few books may remain obscure. Maybe even unpublished. However, could it be that God is waiting for you to write your next novel? Just ask Lemony Snicket. He is glad he kept writing. C. KEVIN THOMPSON is a husband, a father, a grandfather, and a kid at heart. Often referred to as “crazy” by his grandchildren, it’s only because he is. He’s a writer. Need he say more? The first three books of his Blake Meyer Thriller series are out! Book 1, 30 Days Hath Revenge; Book 2, Triple Time; and Book 3, The Tide of Times, are now available! Book 4, When the Clock Strikes Fourteen is coming soon! Also, the second edition of his award-winning debut novel, The Serpent’s Grasp, is now available! 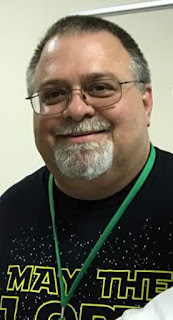 Kevin is a huge fan of the TV series 24, The Blacklist, Blue Bloods, NCIS, and Criminal Minds, loves anything to do with Star Trek, and is a Sherlock Holmes fanatic, too. It’s quite elementary, actually. Writer’s block is a topic known and well-discussed among authors. It’s a normal part of the process. 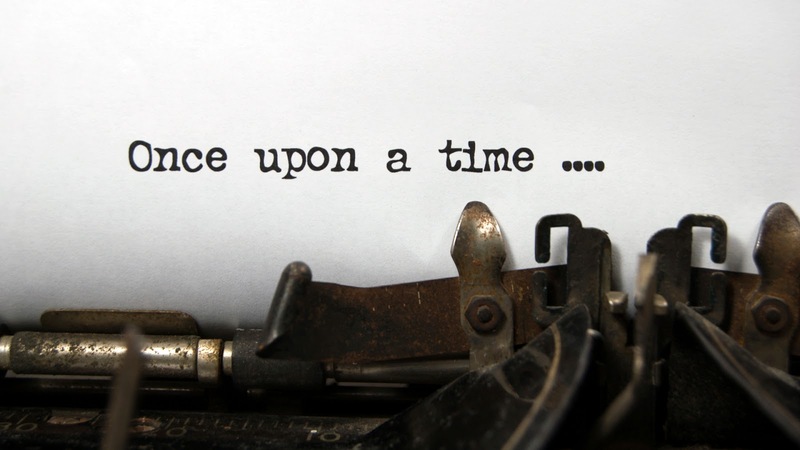 But I have a confession to make…Writer’s block is something I’d never experienced. Before you throw a tomato at the screen, let me explain. Summer came. That time when my kids were all home for three wonderful months. When the sun rose bright and early with birds singing and didn’t set until after my bedtime. And summer is busy in our house. Lots of traveling, weddings, and events to attend, but I still made time to write. Problem was, my mind packed up all my writing ideas and characters and took a vacation—without me—I was baffled. I’d stare at that blinking cursor while it mocked me and think, C’mon! Anything. Type anything. To anyone not really paying attention to me, the clicking of my keyboard made it sound like I was working hard, but the truth was, I spent more time hitting the backspace key than putting actual words on paper. I prayed and prayed. Then I became desperate. Reading anything and everything about writer’s block and how to overcome it. My inner editor, perfectionist that she is, critiqued every sentence I tried to type. None of it was good enough, so I hit the delete key over and over. “What is wrong with me?” I asked anyone willing to listen to my tale of woe. Those were the most common words of advice, and they frustrated me. I wanted someone to give me the magical cure that would restore my writing brain. Months passed and nothing…will I ever write again? The fear that my greatest dream had been ripped from my hands tore at my heart, and the more I tried to force myself to write, the more the cursor mocked me. When my family and I headed off to our long-planned, saved-for anticipated family vacation, I contemplated whether to take my laptop. After all, it hadn’t been beneficial all summer, but for me, my computer is as necessary as my wallet. So, just in case…I packed it. I didn’t intend to write. For the first time ever, I determined I would not write. I was on vacation. I planned to spend the days enjoying the sun, the beach and most of all, my family. I didn’t anticipate writing anything. I gave myself the week off and the grace to NOT write. And the week was fabulous, perfect weather and food. Great memories that I’ll forever cherish. Then, the strangest thing happened. As I sat in the airport ready for our return flight home…WHAM! An idea came to me. I spent the next hour free writing the first chapter. No plotting. No planning. Just spewing happy words all over the screen. No longer did the cursor mock me. No longer did I feel the pressure of “I have to write something today!” Just words. Glorious, wonderful, unedited words. For the first time, I wasn’t stressed about how much I hadn’t done and thinking, Hurry up. You’re running out of time. Much like staring at the alarm clock in the middle of the night when you can’t sleep. As if reminding yourself that you have four hours left, three hours left, etc. is somehow going to convince your body to surrender and sleep. I relaxed and allowed my fingers to fly across the keyboard, and it was freeing. Please don’t misunderstand me, I know there will always be deadlines and things we have no control over. Times when things have to get done regardless of our brain’s willingness to participate, and we can’t all take a vacation every time those moments come, but maybe one of the things that will help most in those times is to give ourselves grace. Grace to just deal with life on life’s terms until we can return to the wonderful place of creativity. Grace to not perform perfectly, one hundred percent all the time. Grace to rejuvenate. I don’t know about you, but sometimes, I’m harder on myself than I would ever be on a friend, co-worker or family member. I expect myself to perform perfectly all the time. And that’s silly, but no one can do that, and I’d never expect anyone else to. I’d give them grace. Have you experienced writer’s block? What was one way you overcame it? What advice would you give to a friend going through such a period of writer’s block? Or, what was the best advice someone has given you? With gunmen at her doorstep, Katie Tribani learns her true identity. She’s been in witness protection since childhood, and now her crime-lord father has found her. 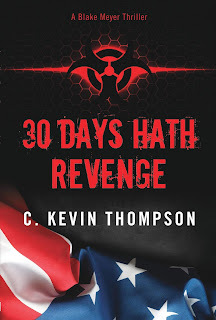 As bullets fly, US marshal Daniel Knight whisks her to safety—but not for long. 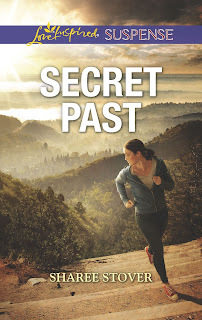 Captured and held prisoner, only Katie can unearth her secret past…if she can survive long enough. Colorado native Sharee Stover lives in Nebraska with her real-life-hero husband, three too-good-to-be-true children, and two ridiculously spoiled dogs. A self-proclaimed word nerd, she loves the power of the written word to ignite, transform, and restore. Her Christian romantic suspense stories combine heart-racing, nail-biting suspense and the delight of falling in love all in one. She is a member of American Christian Fiction Writers, Romance Writers of America and Nebraska Writer’s Guild. 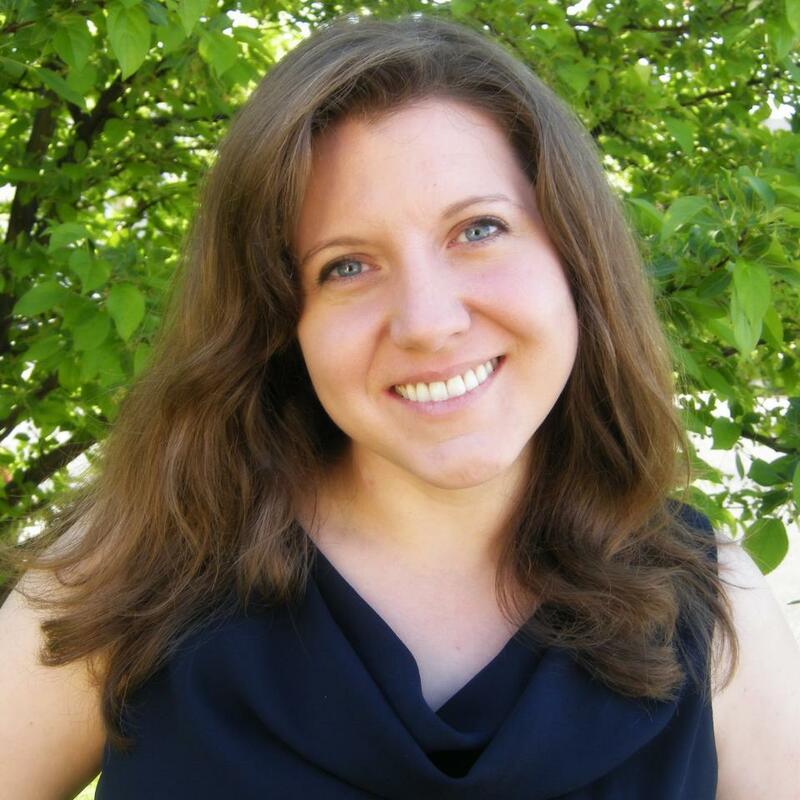 Sharee is a two-time Daphne du Maurier finalist and the winner of the 2017 Wisconsin Fabulous Five Silver Quill Award. I knew God had given me a gift to write fiction, but there was a lot of second-guessing. Discouragement is insidious, and I wondered why I was spending such a huge amount of time writing fiction—for nothing. Eventually I decided to write anyway, even if it was just for me, and to enjoy the gift. I still hoped it would sell, so I could share my imaginary friends with the world. 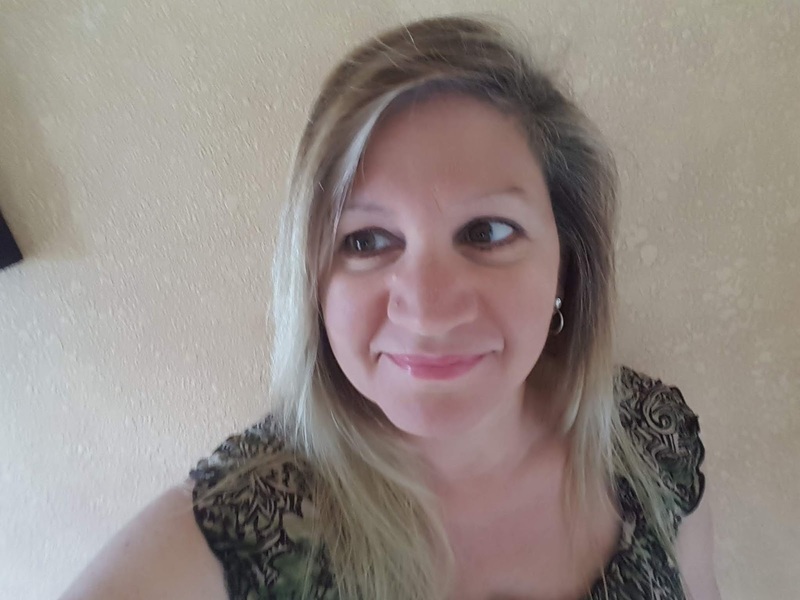 Once I was published, and then decided to continue on as an indie author after my publisher closed, the temptations to quit changed. But they haven’t gone away. Sometimes when the little voices ask, “Do you really want to keep doing this?” my only answer is “It’s better than cleaning toilets.” But then a character or plot point will surprise me, or a reader will tell me that something I wrote touched them, and I’m re-energized. Plus, God brought me this far. It would be ungrateful—and disobedient—to quit or to give less than my best. When it’s quitting time, He’ll tell me. Looking back, I can see times where God positioned me in a spot to be encouraged to keep on. Perhaps most memorably, when I was at a very low, pre-published ebb, He nudged me into attending the 2012 Write Canada conference. I was feeling discouraged and directionless, but the conference challenged me to renew my sense of wonder and to carry on. So I took that and ran, right? If you love writing, keep persevering. Even when it’s hard, and even when there’s no recognition. When God gives us a gift, He wants us to use it. And to leave the results up to Him. Some of us may become multi-published, best-selling authors. Others may publish a single book or article. Others’ words may only reach an editorial assistant deep in a publishing house. Or maybe the act of writing, listening, revising, will help others of us to work through issues we’re struggling with personally. He will use our obedient words, in His way and in His time. May we persevere, so we’ll one day know the joy of hearing “well done” from the Master. When have you been most tempted to quit? How does God encourage you to keep going? 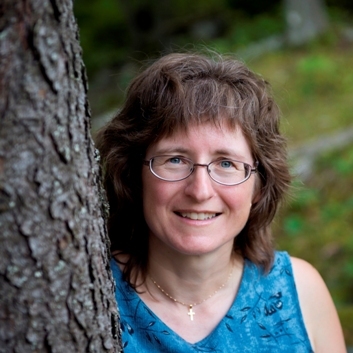 Janet Sketchley is an Atlantic Canadian writer who likes her fiction with a splash of mystery or adventure and a dash of Christianity. Why leave faith out of our stories if it’s part of our lives? You can find Janet online at janetsketchley.ca. 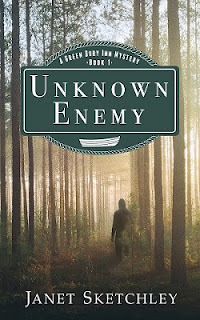 This summer, she’s celebrating the release of her suspense novella, Unknown Enemy. Books on writing tell us to identify the lie our protagonist believes. This lie creates anxiety and drives conflict. Usually, in the protagonist’s journey, she/he has an epiphany concerning the lie, and changes in her/his life follow. Do we believe a lie? Has the lie caused conflict and anxiety in our lives? Could we begin a journey in which we grow and change as a fictional character does in her character arc? Could we create our own epiphany by stepping out of our own story and identifying that lie we believe? Or perhaps we already know what the lie is but we don’t want to put it on the table. We think it’s easier to ditch the truth and believe the lie. I imagine we believe many lies. Most likely we wouldn’t need therapy to make changes. Often reading the Bible with an open mind can help us recognize what our old Self wants to believe. But this believing-lies idea intrigued me. So I opened The Emotional Wound Thesaurus by Angela Ackerman and Becca Puglisi. For every type of wound they provide “False beliefs that could be embraced.” For some lies we might believe, I chose five wounds from The Emotional Wound Thesaurus and picked two lies that might manifest. I can see how these false beliefs could produce anxiety and keep people from living the abundant life Jesus wants for us no matter what our circumstances. What lies have you struggled with or seen others believe? A full-time writer and speaker, Zoe M. McCarthy, author of The Putting Green Whisperer, The Invisible Woman in a Red Dress, Gift of the Magpie, and Calculated Risk, writes contemporary Christian romances involving tenderness and humor. Believing opposites distract, Zoe creates heroes and heroines who learn to embrace their differences. When she’s not writing, Zoe enjoys her five grandchildren, teaching Bible studies, leading workshops on writing, knitting and crocheting shawls for a prayer shawl ministry, gardening, and canoeing. She lives with her husband in the Blue Ridge Mountains of Virginia. Zoe blogs regularly at www.zoemmccarthy.com. Suddenly unemployed, Allie Masterson returns home to Cary, North Carolina where she caddies for the father on the PGA Seniors Tour. There, she encounters a man who possesses an alluring gift of reading the contours of the green. 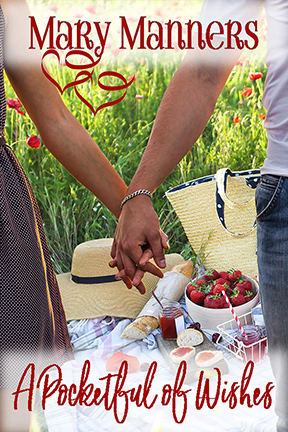 Fascinated with his uncanny ability, Allie is excited to meet the Green Whisperer—until she discovers that the easygoing caddy is actually Shoo Leonard, the boy who teased her relentlessly when they were kids. 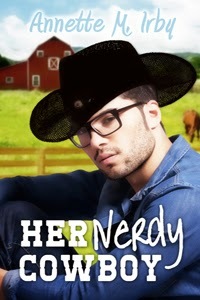 Despite Allie's reservations, when Shoo is faced with having to overcome a hand injury, she agrees to use her sports science degree to become his trainer...and then she falls for him. Shoo Leonard is grateful to Allie for her singular determination to get him ready for the PGA tour, but he isn't ready for anything more. Still raw from a broken engagement and focused on his career, he's content to be her fist-bumping buddy...but then he falls for her. What seems like a happily-ever-after on the horizon takes a turn when Allie decides she's become a distraction to Shoo's career. Is it time for her to step away or can The Putting Green Whisperer find the right words to make her stay?